Life comes out best if we wear right stone or according to the birth month. And often we fail to wear the right, especially when we’re not aware to the benefits and effects of each stone. But believe us, it is not a rocket science. With online shopping portals on the rise, you can find each gemstone at your doorstep. And talking about birthstone they are too available on websites. The June born babies who get Pearl as their birthstone can find beautiful, trendy and unique piece of jewelries brilliantly crafted in metals like Gold, Silver, Brass and other. Pearl is not just so graceful but it is the only gem from the living creatures that require no faceting or polishing to reveal their natural beauty. It is of an organic origin which takes birth inside the shells of certain species of oysters and clams. Some pearls are found naturally in mollusks that inhabit the sea or freshwater settings such as rivers. However, today even pearls are cultured-raised in oyster farms that sustain a thriving pearl industry. 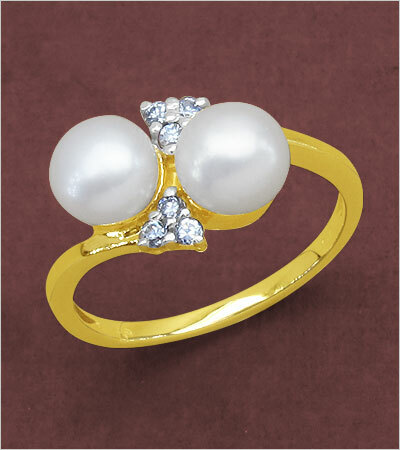 Whatever, a pearl is always superior among the highly valued gemstones with its delicate translucence and luster. The color of the pearl depends very much on the species of mollusk that produced it, and its environment. Perhaps, white is the most common color among other in delicate shades like black, cream, gray, blue, yellow, lavender, green, and mauve. You may find it interesting to know that ancient people believed pearl has some connection to moon mainly because of its glowing and lustrous appearance. 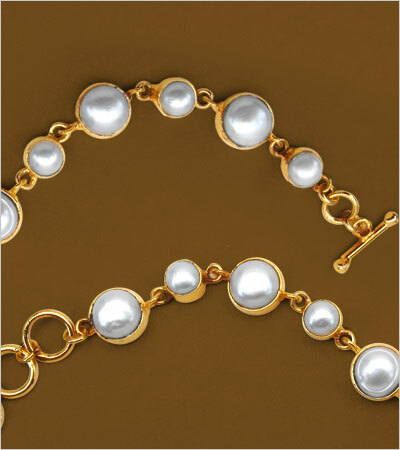 It was considered that pearl are formed from the teardrops of the moon that fell into the sea. Eventually, people started believing about the original facts but the beliefs that pearl has virtues include purity, wisdom, charity and loyalty, remained same with this gemstone. 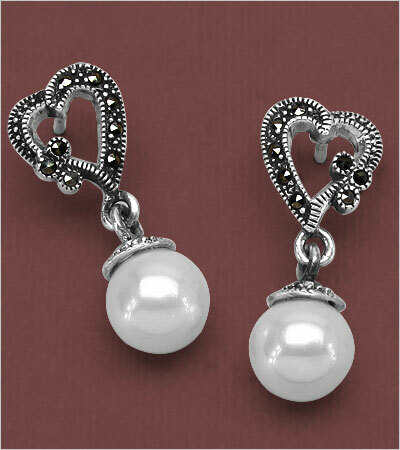 Pearls have powers to prevent newlywed brides from evil eyes and to promote happiness among all those who wear it. 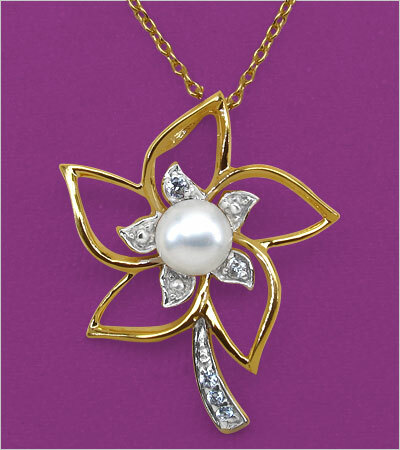 As per the traditional metaphysical properties for the June birthstone pearl are modesty, chastity and purity. Luckily, there are two more stones representing the month of June-Alexandrite and Moonstone. The lustrous stone, alexandrite owns an enchanting chameleon like personality. In daylight, it looks as a classic green, while under artificial lighting it turns reddish-violet or violet. Due to its rare finding, it costs very expensive. And as it is fairly new to the industry, there has been little time for myth and superstition to build around this unusual stone. Moving on to the moonstone, like its name suggests it brings calm, peace and balance in life. In India, the moonstone is considered a sacred stone and often displayed on a yellow cloth. The stone is believed to bring good fortune, brought on by a spirit that lives within the stone. However, the queen of gems Pearl is undeniably leading the market. With some inevitable benefits, source of wealth, happiness and stability in life, pearl is always a good choice for the jewellery lovers and June born babies. Go to online jewellery store Johareez.com and see a wide range of rings, earrings and bracelet among more jewels crafted in stunning pearls. How to flaunt Indian jewellery with your ultra modern dresses!